Fox Hill’s own veteran, Hy Eliasof tells his World War II story. 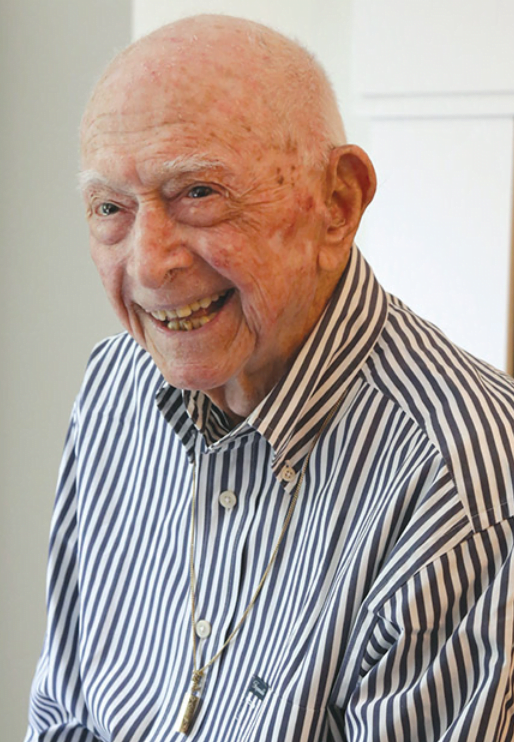 Fox Hill is honored to share Hy Eliasof’s story from the Kol HaBirah newspaper. Eliasof was born in New York City to a northern Greek family of Romaniote Jews, who trace their roots to the Eastern Mediterranean and speak Ladino the way other Jews speak Yiddish. He is now 97 years old. He was one of five brothers and two sisters. All of his brothers served in the war. During World War II, he spent 300 days of 1944 and 1945 on the front lines in Normandy, northern France, the Rhineland, and Central Europe. At first, Eliasof was the only Jew in his platoon. Eventually, two other Jews joined him. He didn’t recall experiencing any anti-Semitism as a soldier. “There were cracks made, but not of a cruel type,” he said; once a soldier earned respect, his ethnic background didn’t matter. Learn more about his shocking revelation, the Hurtgen Forest connection and living his American Dream.